UXnow: The Annual UX Design Conference. Get ready for the annual UX design conference organised by team MakeMyTrip to be held at IIT Delhi Campus on 21st October 2015.We are returning this year with an Indian outline. Indian designers are building products that serve users world-wide and are providing unique entrepreneurial solutions suited especially for the Indian context. We would like you to join us as we take a day to appreciate the journey so far as India strides on in the field of design, laugh & learn along the way and take a sneek-peek into the exciting design future ahead of us. This one day conference aims to bring people from diverse backgrounds like designers, entrepreneurs, academicians, developers, product managers, students and provide them a multidisciplinary platform to discuss challenges and potential solutions for effective interaction with and through web, mobile devices, application & services. Topping it all off with exciting talks, panel discussion, design challenge competition, networking opportunities that would provide the participants plenty of real-work examples along with actionable takeaways. For more details on registration and promoting this event, refer to www.uxnow.org and follow our Twitter/FB handles mentioned below. Is that a walk past the memory lane? Off course! The semblance of this sweet memory is locked safe in everyone’s account. Isn’t it? So, what if we invite you to unlock and unhide the very childlike streak in you? Are the twinkles in the eyes coming back with a smile? And now that we know you are smiling, here we go! UxNow aims to provide a multidisciplinary platform for designers, academicians, entrepreneurs & developers to discuss the challenges and potential solutions for effective interaction with and through web and mobile devices, applications, and services. A one-day conference with exciting talks, chatter, networking lunch and a roundtable panel discussion provides participants plenty of real-world examples along with actionable takeaways. As it was once said, “A creative adult is a child who has survived”. So what are you waiting for? See you on 28th Nov ’14 under the umbrella of UXnow. Let us together revisit the creative child in us in our very own NCR and we promise that you would ‘Rediscover’ the shining Nickel for the wonder inside. Come ready, devices charged. We’ve got a packed day! Yes!! Your very, Nickel o Wonder! ThinkInvestor is iSPIRT and ProductNation’s new initiative to serve as a catalyst between Venture Capital firms, Angels, Angel Networks and Entrepreneurs. It is to go beyond brochure ware and dig deeper into the whole life cycle of a typical investment; from introductions, funding, styles of on-going engagement, to exits. 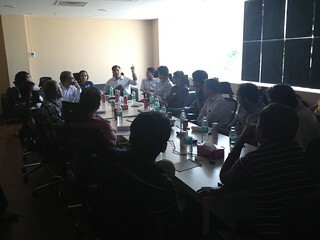 And in the process, capture their views on global and local trends, and the entrepreneurial ecosystem in India. This interview is done with inputs from Shashi Bhagnari. Helion Venture Partners is a $600 million venture fund focused on India with offices in Bangalore and Delhi. The company is an early to mid-stage investor in Indian startups in sectors such as Enterprise software, Internet, Mobile, Outsourcing, Retail, Education and Financial Services. In a conversation with iSPIRT, Helion’s Alok Goyal, Partner, talks about the company’s funding strategy, evaluating projects and making the right investments. Tell us about the company’s background. What is its focus? What is your current fund? What is it looking at? We formed the firm in 2006 with four founders that included Ashish Gupta, Sanjeev Aggarwal, Kanwaljit Singh and Rahul Chandra. Besides our team of analysts, our CFO doubles up as an operating partner for finance. We also have an HR advisor who works closely with our portfolio companies. We recently got someone in Product Management from Google to help portfolio companies. We are now a group of 15 people and have our offices in Gurgaon and Bangalore in India. We focus our investments on early to mid-stage ventures, investing in technology-powered and consumer service businesses in sectors like Outsourcing, Internet, Mobile, Technology Products, Retail Services, Healthcare, Education and Financial Services. We have done about 60 investments so far. In our current fund, we have raised about $250 million. The focus of this new fund will be divided between technology side and tech-enabled consumer investments. We will continue to look at Internet services like Makemytrip where we invested earlier, taxi services like TaxiForSure etc. What’s your strategy on verticals? How do you characterize them? Within e-commerce, we are bullish on Internet-only brands and marketplaces. For example, YepMe–a Web only brand focused on tier two and tier three markets. We have also invested in a venture called ShopClues which is an eCommerce marketplace. Within consumer services, we have invested in consumer facing travel ventures like TaxiForSure. We have also made an investment in a company that makes planning travel experiences much easier. We have also funded a housing and real estate venture, Housing.com. What stage of investment are you most interested in? Seed funding or later stage investments? We are mostly the first or one of the first institutional investors in the company. Our sweet spot would be Series A or Series B funding. I would imagine 70 to 80 percent of our investments are in Series A. We invest between $10 to 20 million over the lifetime of an asset. Any interesting investments you have made recently? We had been looking at investments in the healthcare sector for a while now. We have recently invested in Denty’s, a chain of dental care units. This Hyderabad based company focuses on dentures, jaw replacement and other high end dental care treatments. We have also invested in the area of enterprise mobility, in a company called Rapid Value that provides services in the area of mobilization of enterprise applications. Another recent investment is Linguanext, which has created a unique technology for language translation. It allows Independent Software Vendors (ISVs) and enterprises to translate any application from one language to another without any changes in the application itself. How do entrepreneurs get in touch with you? Is there a defined process they need to follow? Entrepreneurs are at the heart of the venture capital eco-system. It is as much or more of our job to find entrepreneurs than they reaching out to us. In fact, we use a lot of our bandwidth to get to reach out to entrepreneurs. Entrepreneurs are most welcome to reach out to us directly. There are two ways entrepreneurs typically get in touch. First is through our personal network. Second way is through bankers. We also like to make ourselves visible in forums and events so that entrepreneurs can reach out to us and we can reach out to them. We also have a strong outbound program through a team of analysts. What is your due diligence process? Is it specific to all? We view around 1500+ business plans each year. The process is similar for most. Usually the first meeting takes place with one of our analysts, unless it comes from personal contacts. Different analysts focus on different areas and they all gain a good idea after the first meeting, which is then followed up with another meeting with one of the partner(s), to understand the business better. Due diligence for us is more Market Diligence. We also do primary research, secondary research and make reference checks. After we are through with the entire due diligence, we invite the entrepreneurs to present their business plan to the whole team. If the partnership is positive, we issue a term sheet after which financial/legal due diligence cycle along with documentation is completed. The entire end-to-end process is completed within a month and a half typically. How do you interact with your entrepreneurs? Is there a process outlined for this? Investment is not only about money. We have developed reasonably strong relationships with our entrepreneurs which begins when we start the process of due diligence. We have both formal and informal interactions on a periodic basis. In the early stages, face-to-face meetings are held every quarter, in addition to monthly calls. But outside of that, we do not interfere in their work at an operational level. But entrepreneurs reach out to us whenever they need help. For instance, if they need clarity on product direction or to connect with other prospects, they contact us. Those interactions are in fact, quite regular. However, I personally find myself being in touch with them on a very regular basis. Do you have any avenues where you meet your portfolio company CEOs informally during the year? Yes, we are doing this once a year. We have also started to form groups now. For instance one group that focuses on product management can share tips with portfolio companies in that area. We also reach out to our portfolio companies through webinars. Tell us about your recent exits? What do you think of the climate for exits in India like? We are just an eight years old entity, so there have not been too many exits. Our first was an IPO exit from MakeMyTrip when they went public. We also exited redBus when it was acquired by Naspers. Then we got out of Amba Research. We are hopeful that the market climate in the next few years will get a lot better for favorable exits. What excites you about entrepreneurs these days, and what is it that you like to see in them? In all my discussions there is a general belief that the quality of entrepreneurs has gone up significantly. We are also seeing a whole class of entrepreneurs moving back from the US. We are seeing a generation of entrepreneurs starting their second ventures now. Their scale and thinking is different, very bold. What we’d like to see is stronger talent in Product Management. It is relatively more difficult in India compared to a place like the Bay Area. We are also not seeing as many deep technology assets. What we are seeing are more applications based and light IP based businesses from India. Over a period of time, I have no doubt that India will create more deeper technology companies as well. What advice would you like to give young guys who want to start a new venture? You should ask yourselves if you have the entrepreneur inside you or not. If you are over analyzing, you are probably not. An entrepreneur has to be “foolish” enough to purse the dream besides being passionate about it. If you want to do something, don’t over-analyze it. The important thing is the ability to take the plunge. Entrepreneurship is not a solo sport; but a team sport. You need to find complementary capabilities in others. The bottom-line is that you should be able to pull together a team that has complimentary skills and the same passion to do it. A startup is successful because it is focused. Defining that focus is important. Startups succeed because they choose a specific market segment or a specific problem or a specific customer set etc. and serve that market better than anyone else. Lastly, it is important to be close to the market. You need to continuously listen, learn and act with agility. It is important to be able to iterate quickly. 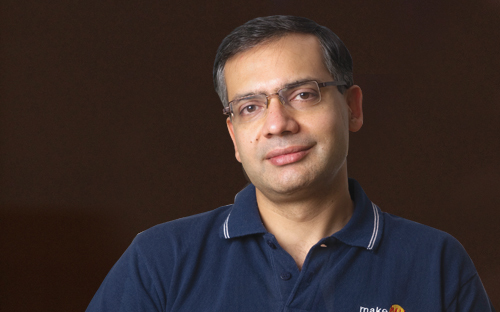 Deep Kalra is the founder and CEO of India’s leading online travel company MakeMyTrip.com. Founded in 2000, the company is now the largest e-commerce business in the country and listed its shares on NASDAQ in August 2010. Prior to founding MakeMyTrip.com, Mr. Kalra has had corporate stints with GE Capital, AMF Bowling Inc. and ABN AMRO Bank. He holds an MBA (PGDM) degree from IIM, Ahmedabad and a Bachelor’s degree in Economics from St. Stephen’s College, Delhi. Read on to find out about the true test of an entrepreneur, the importance of knowing dhanda at a startup and going against common sense. [Innovate Delhi] You believe in turning what one loves doing into a business model. How did you figure out what you love and turned that into India’s leading online travel company? [Deep Kalra] For all entrepreneurs you have to focus on something that you love. But it definitely took me three jobs to figure out what I loved – I worked in banking, I worked in a very entrepreneurial role at AMF Bowling and I worked for GE Capital. Between these three roles, I figured out that I enjoyed the untrodden path. I was excited by stuff that had not been done before or at least not been done before in this part of the world. My second role was very entrepreneurial and I enjoyed that the most despite the fact that it was not financially a success. But I really had the time of my life which made me realize that I rather be doing my own thing. What did the failure at AMF bowling teach you? How important do you think failure is in an entrepreneur’s journey? AMF Bowling was a game changer in my own mind in terms of approaching different problems. Here was a problem that had not been thought about – How do you sell a family entertainment center around bowling which had not existed before? Addressing this problem was a learning curve in doing dhandha which is different from corporate business. Overall, it was a good learning experience in terms of a start up and solving problems that had not been solved before. It was also very personally fulfilling to me and I didn’t want to give it up. In hindsight, common sense would have dictated that I called quits within a couple of years but I worked with AMF Bowling for four years. So it also taught me that I can keep my head and chin up during a period when things are not working. How is doing dhanda a unique challenge in itself? I read that you have bribed repairmen with bottles of rum to fix rat chewed cables. What challenges does the Indian entrepreneurial space pose and how do you deal with them while ensuring that you don’t lose sight of your larger goals? I didn’t make a habit of bribing repairmen with alcohol but did so some unconventional stuff! The important lesson is that in the first many many years an entrepreneur should be ready to do anything and everything. And a lot of people are not. It’s better to start your entrepreneurial journey earlier than later because you have lesser hangups. At the same time, there is something to be said about good work experience. I don’t know what is a good amount. For me it was 8 years. But some entrepreneurs have never worked for someone else. I would recommend, especially in the Indian context, to work for a couple of years in a good company. It will help you later in life- you want to hire good people, you want to keep them motivated, you want to do the right things. I don’t think any amount of education prepares you for those kind of decisions. In the initial years, an entrepreneur spends most of the time doing non-core business because you don’t have a team. And in India, things take longer. But hopefully with more interest and infrastructure in this space, the processes will get shorter. For instance, its getting easier to hire good talent. A startup is no longer a very unusual career. As an entrepreneur you have to be an excellent seller because you are selling all the time. Even if you are not doing the traditional selling of your product, in the early stage you are selling to get good talent. You are selling your story, your company all the time. You have to convince people to give up their great job at GE Capital or a think tank or Unilever etc to join one’s company. And then you need to sell to raise money. Each time you go out to meet current investors and potential investors, you are selling without realizing. And you have to work harder to sell your story in India because there are fewer startup success stories here. You have clearly done a great job of selling to potential hires, MakeMyTrip has consistently been ranked amongst the the Top 10 “Great Places to Work for in India” by The Economic Times in the last four years. 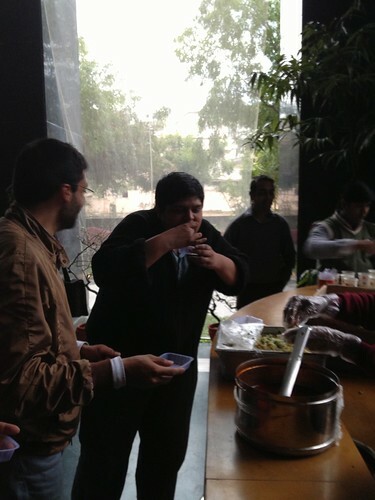 What is the culture at MakeMyTrip that make it such a great place to work? The culture at an organization is related to the founding team or founder. One of the titles that the founder carries through life is Head of Culture. The founder has to walk the talk. I think it really comes down to passion and personal values of the founding team. Because then you end up hiring people for values. Then you start percolating down those values among similar minded people into a “culture” or whatever you want to call it. Over time it becomes established and you can talk about it. In your corporate and entrepreneurial journey, how do you think the Indian entrepreneurial space has evolved and what are the most promising trends today? There has been tremendous change in the last 3-4 years. The quality of entrepreneurs is improving. People have a much better overall view of what they want to do and what they need. There are lesser and lesser people who want to do something that’s cool. So folks are coming in for the right reasons. I love that there has been a great increase in the amount of angel funding that is available but there is big gap between angel and early and Series A and Series D deals. You can get your first round of capital fairly easily if you are an individual with a good plan but you have to be ready to perform in the next 12 months to get your Series A. Do you think entrepreneurship can be taught or are entrepreneurs born? I think its largely inherent. When things are going well, anyone would rather work for themselves everything else be equal. But that is typically not the case. Everything else is not equal. Let’s say you are going to make 50% of the money. Then what is it that you really want to do. And I think that is the test for if you want to be an entrepreneur or not. And yes, entrepreneurship can be taught but I think entrepreneurship has to be learnt more than it can be taught. And you learn it on the job. Ultimately, if you are happy being on the job, everything will work out. If you were a judge at Innovate Delhi, what would be the top three qualities you will look for in an entrepreneur? Agility and flexibility is one. There is a fine line between stubbornness and resilience. You have to believe in your idea but also be practical enough to make changes as you go along. You have to be wired analytically. I don’t know of any other way to run business. Creativity is important but if you are not fundamentally analytical then you will end up making decisions that are sub-optimal. And the third one is being a very good people’s person. It goes back to culture and teambuilding and it is something that comes to entrepreneurs naturally. We all know quite well the value of Design to business, and Design Thinking to problem solving. But what remains a bit fuzzy for many start-ups, organizations & individuals is the gap between thinking and doing or making it happen. In this time of volatility and complexity, the role of design to drive meaningful innovation and change is growing and while there are multitude of factors that need to be taken into consideration for a product design that is desirable, feasible & viable the design thinking process can help overcome these product characteristics. Yes, great design starts with design thinking! Reminds me of David Kelly from IDEO who puts this together as empathy or being empathetic. In other words focusing on what users value the most and building on top of the ideas they share with every incremental value we deliver to make designs better. In an effort to bring all designers, engineers, product managers & entrepreneurs together via an informal coalition of like minded design thinkers community to help promote the how-to’s of design thinking, MakeMyTrip in co-ordination with #PNMeetup hosted a day long #DesignThinking event in its premises inviting them to discover the stories, solutions and tools that design thinkers are putting to work, from start ups to multinationals helping them find inspiration and learn how real world solutions are provided using innovation & technology to work to solve complex global challenges. This event was a first step in NCR UX community with series in pipeline with start of an exciting thought-leadership plank in the UX ecosystem in the country towards creating a platform to nurture design thinking & promoting design thinker’s community fostering an ecosystem that promotes delivering great experiential online products. Industry experts from LinkedIn, Mettl & Anagram Research supported the event with inspirational talks on subject and sharing how they practice the same in their respective job functions, startup’s & organizations thereby embracing the process in their day-to-day routine while driving the product vision at their setup. The experts also covered upon bootstrap strategies for startups who cannot afford the UX agencies or a big design team and face design challenges day in day out during their product design journey. Some even illustrated the design thinking approach to problem solving of product features design and helped them uncover the latent needs, behaviors, and desires for their users. Altogether, #Design thinking event saw noteworthy achievement with 40+ design thinkers joining us from NCR and could leverage the platform listening some inspirational talks from speakers and meeting few like minded folks around. 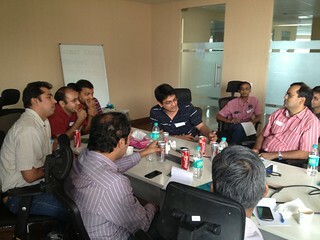 Had participant mix from passionate startup entrepreneurs to designers & dev engineers. Audience was glued to program embracing the talks & interactive workshop from functional experts in domain. 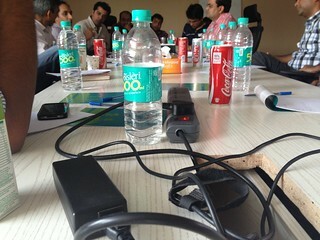 In the last 2-3 years there have been well designed products coming out of the NCR startup ecosystem. 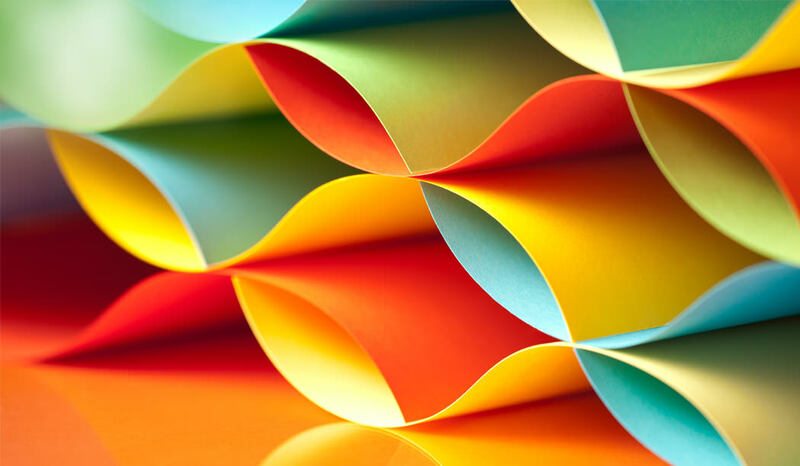 Mettl, Visual Website Optimizer, Paytm, and Oogwave, especially come to mind where Design Thinking has been an integral part of the product development process, and not an after thought by giving it just a cosmetic veneer. There is a noticeable increase in design sensibility while attending various Meetups and pitching design services to startups. However, there is still a gap in how to make it happen. In other words, how do startups and product managers cover the distance between thinking of design and making it actually happen. Please join us for our launch session this Saturday (May 18th) at the MakeMyTrip office. There will be a talk by Mettl founder, Tonmoy Shinghal, followed up a 3-hour workshop on how to practice Design Thinking in your company by Devika Ganapathy of Anagram Research. Not to mention plenty of networking opportunities during coffee breaks and lunch. Please check out the details and register soon (only 30 participants). 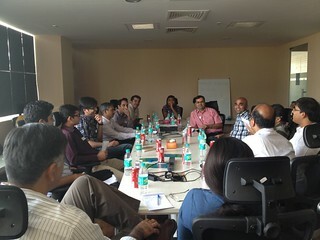 When nearly two dozen product enthusiasts sit around a table passionately talking for 4-½ hours, expertly addressed by two product veterans – Amit Somani and Amit Ranjan, you can expect an information overload. And, it did seem like drinking from the firehose, trying to capture all the takeaways in the intense back and forth, where even a tea-break seemed imposed. A blast it was – this iSPIRT Playbook Roundtable Delhi edition on “Effective Product Mgmt & Delivery”, focused around learning for startups. Thankfully, there was a structure, laid out initially across specific dimensions – Product Planning, Delivering, Hiring, Culture, Metrics, Customer. These themes kept repeating through the session with questions coming from participants across the breadth & depth of product management, and many times touching upon all the aspects of running a product company. Here’s an attempt to sum up the takeaways from this long & exhaustive (not exhausting, yet!) session. – Product Planning in many start-ups is not an elaborate exercise. It is typically handled by one of the founders, and “build and adapt as you go” is the norm. – Delivering a great product is always an intersection of Engineering, Design and Product Management, with Product team in the driver’s seat. This intersection and collaboration is one of the critical factors in getting a great product delivered. – Getting the Engineers and Designers to collaborate is one of the key challenges. As per Amit R, what helped them at Slideshare was the fact that they always hired Engineers with a flair for Design. A great developer as part of the product team is 70% Engineer & 30% Designer, as per him. 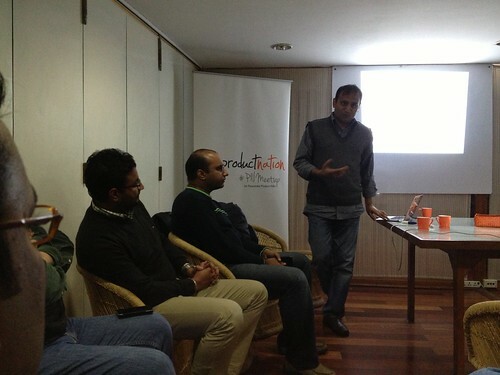 Amit S emphasized that metrics are very important for product managers. When the team grows (when you can no longer rely on people to just talk to each other and get things done), the metrics-driven product management becomes critical. Touching upon the right hiring in this context, Amit S insists on covering the candidate’s thought process around metrics (with open questions such as – what would be your primary metric if you were designing the Delhi metro). Metrics & the Rule of 1/1/1: This is one rule around metric that Amit S follows. What will be your metric for 1 Week, 1 Month, & 1 Year. Break it down, with crystal clarity and follow it up religiously. (A great resource for B2C space around metrics is a presentation by Dave McCleor – Startup Metrics for Pirates). – It is important to be clear of the vision, and how it connects to the primary metrics that you define. There’s a direct correspondence between identification of the key metric and the clarity of what the product is trying to achieve. – Relevance of the metrics to the specific goals through the product journey is important. As one goes along in the product journey, the dimensions on which key metrics are identified may vary. Initially it may be customer acquisition; And then it may be engagement; then conversion; retention; life-time value; and so on. One of the key questions around customer aspect of product management is – What is the right spec for the product? One of the biggest mistakes product managers tend to make, as per Amit S, is when they confuse the “Customer Requirements” with the “Product Requirements”! Sorting this out is the core to the responsibility of a Product Manager. – When faced with a requirement, the first pass criterion (in B2B scenario) should be – if the requirement is relevant to at least 3 customers. – There are various tools to interact with customers, and get feedback: Surveys, Net Promoter Scoring, Feedback through the product interfaces, and so on. – Get the Information from Customers, Tone it down, Tune it further, and then arrive at the specs for “Engineering”. – What should the spec typically look like? Default Rule of Thumb – 1 Page Spec. It should be very focused, very clear, in what the feature is trying to achieve, and at the same time not too long. – A Good quality spec considers the “Least Granularity of time” with Clarity of thought. That’s from the Project Management perspective. From the functional perspective, Amazon has a good model that can be followed. Every Spec at Amazon is a 6-Pager Document – forcing people to establish clarity of thought and articulation. – Another good alternative is the 1 Pager “Lean Canvas” by Al Ries. – It’s also important to be clear on “What” requires a spec and What doesn’t. Both at Slideshare and MakeMyTrip, the team goes through multiple “Lights-on” stuff that they need to perform to keep the business running on routine basis. And these are fast-track enhancements and modifications driven by immediate business needs and marketing requirements. The Lights-on requirements are different from Core Functional Specs for the product roadmap. – Another criteria that decides how detailed the spec should be is based on the number of users getting impacted. – How do you handle customer requests with investment requirements that are not justifiable on the ROI? There are multiple considerations to this. The “Life-time Value” of the customer is important, and if such investments allow you to enhance it and calculate ROI in longer term benefits, it may still work well. There are alternative ways to look at this though. In the experience of Aneesh at Capillary, they had divergent requests that led to a very different direction for the Product and transformed it from “Mobile CRM” to “Intelligent CRM”. Another possibility could be to look at partner ecosystem and see if there’s a synergetic way to address these needs. – How do you manage your customer requirements into “Not to have” features? How do you single out the noise? While it is nice to think of an ideal situation of getting the product requirements at the planning stage, when the customers use the product, they often come back with plenty of views that need to be funneled down. When you have to discard some requirements, it is important to “talk to a lot of people” to ensure weight. Also, some of the requirements die-down on their own, clearly indicating noise factor. It is a balancing exercise between reducing the hassles in customer feedback process and creating enough friction to dampen the noisy “Vocal Minority” (the term that Amit R uses to refer to the few customers that may be so noisy that their voice seems more important than is worthwhile for the product). As per Amit R, Product Managers should be (are!) Second-in-command in the sense that they decide the future of the company. Considering this, it is critical that one single product dimension doesn’t overweigh the hiring process. So, intake process for Product Managers needs to follow the 70% rule – The Product Managers need to be aware on all the broader and holistic dimensions of running the product business including sales, marketing, operations, design, and so on, with 30% depth on the critical Product Management areas. – Determine if the candidate can think holistically and de-clutter the thought process in the crowded set of inputs. Ability to deal with ambiguity. – Product management is typically a “common-sensical” thing. Look for common sense and intuitive angle. – A great product manager would do well on what can be referred bluntly as “dhandha” (Money part of the busines). You cannot afford to have a Great product with “no” money. – One of the participant companies built their structure around Customer Success. Majority of the Product roadmap is driven by the Customer Operations, Tickets, and resolutions – and driven by how customers used and viewed the product in B2B scenario. In such cases, they typically found it useful to move folks from Customer Success team into the Product Management areas. – In case of another successful participant company, the CTO is playing the role of Product Manager and it is working very well for them. On the relationship between the CEO/Founder and Product Managers. As per Amit S, Product Manager is the CEO of the Product, while the CEO is (of course) the CEO of the Business. One of the challenges for the Founders is how quickly they are able to let go he Product Management and start focusing on the business and Product metrics. Amit R also emphasized that it can work cleanly with the CEO focusing on the business aspects while Product Manager focused on the Product aspects while maintaining the alignment. Where should the Product Manager Report? At high level one case say that it depends on where you are in the evolution of the product/company, and what the Product really means to the vision of the company. However, over time, Product Management needs to be separated from Marketing and Engineering. In essence, Product Manager shouldn’t report to the Engineering or Sales or Marketing. In corollary, there should not be a reporting into Product Manager as well. Product Manager is a “Glue” job, and is key to a healthy tension for the product direction. Product Manager is WHAT of the Product – Defines what (functionally) should be built. Engineering is HOW and WHEN of the Product – Details out & manages “How” (technically) and “When” (schedule-wise) should the stuff be built. One needs to also establish clarity on Product Management being different from typical Project Management. Also, there are strategic aspects of product that are owned by the executive management, however, you always need a “Champion” of the product that is independent of the other forces that drive the organization. Positioning. For a clear direction for Product Management, the positioning of the product in the market is a key factor. How do you refer to the product? The answer to this question, in case of start-ups, seemed unanimous that the start-ups are too limited in resources/focus/energy to be able to create a new category. Aligning to an existing category with a differentiator is the key to early success. For instance, Slideshare referred to itself as “Youtube of presentations”, Vatika positioned itself as Parachute with Additional ingredients, “Busy” positioned itself as Tally with better inventory management and statutory reporting. What’s a Product? (A rudimentary question, I know! But worthwhile to hear the perspectives! J) How do you differentiate functional Product Management from the technical side of it? 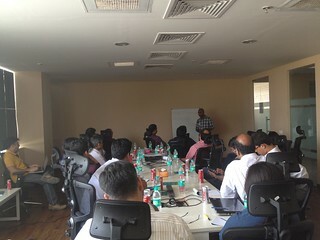 As per Amit R, “Product is the core experience or core touch-point for your end-consumers with your business.” It is worthwhile to note that the various types of customers may have different ways to access the product and there may be different ways to define the touch-points for every segment. For instance, Slideshare follows a Freemium model where 5% of the Paying customers may have a different set of touch-point experience from the rest of 95% free users. So various segments, such as Free B2C, Paying B2C, Paying B2B, and Partner B2B may all have different touch points with the same Product. How do you get the Product Managers to champion the cause of usability and aesthetics? As per Amit R, in case of Slideshare, CEO happens to be from the usability background and that helped a great deal, since the thought process permeates across. It is important to engrain the usability in the way of the product management, since you cannot bolt it later, as per Amit S. There are various ways MakeMyTrip tries to do that. One of the eureka moments, for instance, for Engineers and developers was when they were shown a “live session” of a user through the Screen capture tool. 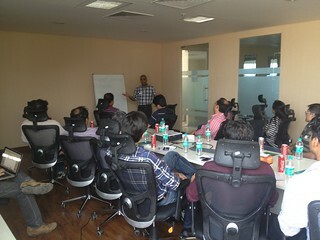 It also helps to have the live user sessions in front of the product team. Some of these approaches can build that appreciation for the user actions in the minds of product team, over time with sustained effort. Retention and Customer Lock-in: Slideshare has learned the harder way that ignoring Emails as a mechanism for customer engagement and retention is costly. LinkedIn relies on Email based “Customer retention” and “Returning Users”. Jeevansathi.com uses a strategy to map the customers in various life-stages and uses various Email and SMS templates to engage them even through the very short life-time of 3-4 months. The Mobile Storm: As per Amit S, having a Mobile Strategy through this year and next year is critical for the product companies. Web is no more the only option, and for some products, it is becoming a mere secondary. Mobile First makes sense. The transactional figures for Mobile are increasing at such a rapid pace, that an afterthought based Mobile based functionality may not work so well. If this is any indication of the things to come, the product ecosystem will benefit immensely from the initiative. Looking forward to the furutre editions, and share more! Building Killer Products in a young startup…. Harinder CEO of Paytm went first and touched upon some very basics needs to build a Killer product – A product which would make a difference to life. He showed some photographs of products which he liked and disliked – seeming to suggest that being clear about the problem which exists, and for whom its exists, the solution would not be judgeable by you or anybody if that is not clear – Good products always keep it simple. Sensitive to products – to understand the problems around you and that the product is the solution to that problem. To be free of Baggage – Inverting the Pyramid by starting off with the problem and finding a solution for that. A simple facility like a wallet feature on Paytm helped the company to provide their customers with a solution to a problem. Be Practical – Pixel perfection is good, but need to be realistic to the needs of the business. It may mean to launch a product by striking a balance between hygiene(the minim basics)and differentiated features of a product. 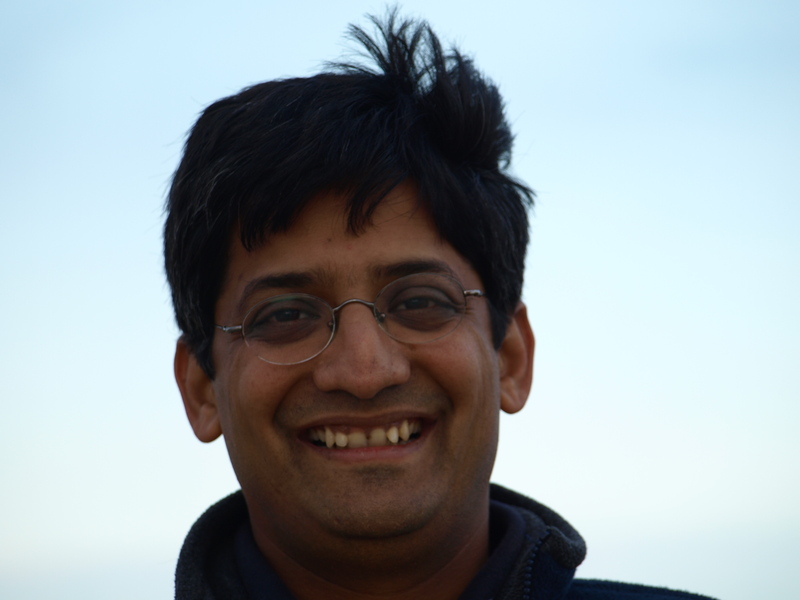 Harinder thus set the tone and passed the baton to Pranav from Makemytrip.. The Use cases that would make a difference – Clearly define the targeted market segment. State what the product does and does not do. Get Feedback on your product before you have built it. Do not Underestimate marketing . You become what you measure – Daily measure the various outcomes. He says that the branding, look and feel are very important for any product. Many start-ups have product managers, but these product managers need to manage products and not the people. The Product Manager needs to understand the product, the technologies which you are working with, have you every built such a product, do you understand your people, your customers and do you understand the competitors customers. A product manager should live, breathe, eat, sleep the product. He should empathize with the users, understand their needs and keep a lot of free time enabling him to explore, experiment and evolve new products. A Company should ask : WHY are we building it and WHO are we building it for before WHAT are we building it for. Design is a very important aspect of all Killer products, it comes from a good strong design culture with a sharp focus backed by clarity of thought working with autonomy with the best people pushing the limits with their passion and conviction to achieve the Vision. A fact which is very often overlooked. We then moved onto the session where we featured a new company, this time it was ReviseWise.in a technology start-up. The company is India’s 1st Mobile Platform making learning and revising “Simpler Faster, Anytime Anywhere”. The company hopes to increase engagement between educators and students via mobile networking and applications, to accomplish a positive effect on learning, assessing, improving and achieving. The participants shared there product and got feedback from the audience in relation to scaling their businesses. After a very interactive 3 hr session the time was just right for everybody to go to the foyer and interact with the speakers as well as the participants and reflect on what was discussed. Everybody over the Gol Gappas were very excited to be present and shared some interesting conversations which kept people at it for a long time. Am sure all the people who came gained a good insight and the credit for that goes to Avinash who has set the ball rolling now with very successful #PNMeetups. We eagerly now await with child like eagerness for the next #PNMeetup in March.